The Private Side of a Public Education ($20 – Click to Purchase on Amazon, ISBN: 978-1-937536-19-0, Hardcover ISBN: 978-1-68114-173-2, 6X9″, LCCN#: 2012940839, 239pp, 2011): Finally someone inside public education is willing and able to share what makes public education one of the most wasteful and harmful and yet one of the most noble efforts in the history of mankind. 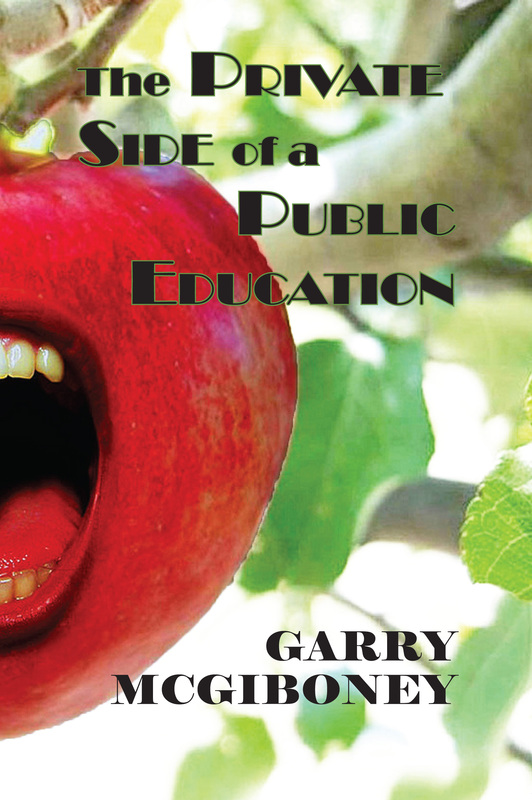 This book pulls the curtain back for an unedited and uncensored view of public education, including components of public education heretofore unheard of by the general public. The author shares a personal and professional journey into corners of public education that will both disturb and delight readers. The author takes the reader into the world of felonious students and staff members, and how their presence in school poses real dangers for all students. He chronicles how some public school teachers and administrators save souls and how others are allowed to be cruel to children. Along with these honest descriptions of public education, the author also shares his personal journey through public education with a humorous view alternating with heart rendering descriptions of students trying to retain their dignity while struggling to survive in public schools. Recent books such as Waiting for Superman and The Death and Life of the Great American School System fail to capture and reveal the heart and soul of public education in America. The Private Side of Public Education will forever change the reader’s perception of public education. Garry McGiboney, Ph.D.: The author’s experience in public education spans 37 years. He worked in elementary schools, middle schools, high schools, alternative schools, and most recently at the state level. Because of his experiences as a struggling student who dropped out school and as an award winning educator, he became an advocate for children inside of public education. He has conducted hundreds of training sessions at the state and national level in areas related to public education. He has been quoted in the print media several times, including Time Magazine, Education Week, USA Today and many others, as well as in the international print media in such publications as Le Devoir, Listin Diario, El Diaro, Japan Press, and Mato Grosso. He has appeared on CNN, Nickelodeon Network, A&E, Discovery Channel, PBS, and on a United States Department of Education televised program on emergency preparedness in schools. Additionally, he has been interviewed on several local news affiliates of ABC, NBC, and Fox News. Dr. McGiboney has over 30 published articles on a variety of topics in public education in journals such as in the American School Boards Journal. He has received local and national awards for his work in public education and for his advocacy for children, such as the National Association of School Psychologists Friend of Children Award.